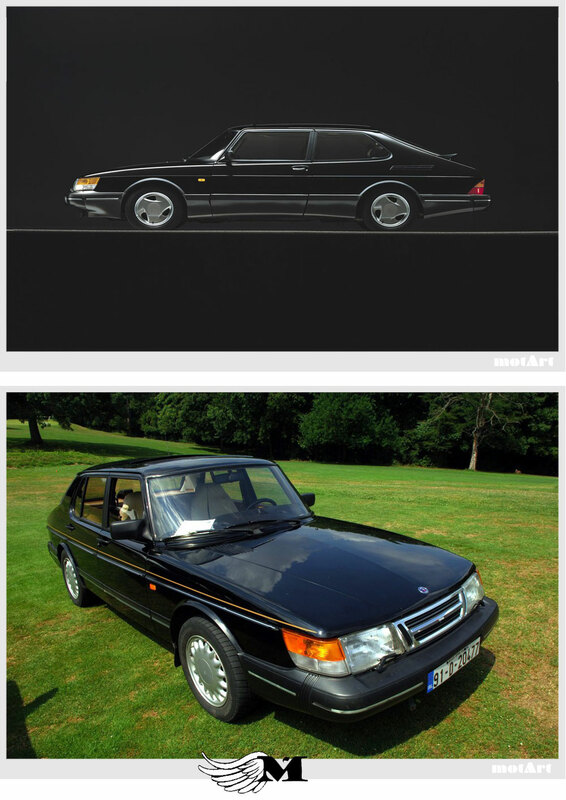 The Saab 900, one of my favourite car, was produced by Saab Automobile from 1978 until 1998 in two generations. The first generation from 1978 to 1993 is known as the "classic"; the generation from 1994 to 1998 is known as the "new generation". The "classic" Saab 900 is based on the Saab 99 chassis, though with a longer front end to meet U.S. frontal crash regulations. The 900 was produced in 2- and 4-door sedan, and 3- and 5-door hatchback configurations; in addition, from 1986, a cabriolet (convertible) model was produced. There were single- and twin-carburetor, fuel-injection, and turbocharged engines, including both Full-Pressure Turbo (FPT), and, in European models during the early 1990s, Low-Pressure Turbos (LPT).